The allure of Gorilla Glass is no mystery to anyone with a Droid, an iPhone 4, a Galaxy tab or a Dell Adamo. But for everyone else wondering about all the new Gorilla Glass gear at CES, here's the rundown. You'll find it in screens, mostly. This includes smartphone screens, tablet screens, laptop screens, and as of this week, touch-table screens and TV screens. Ok, so it's not literally indestructible, and it still quite possible to shatter your iPhone's screen. But it's harder than it used to be. ...because it's treated differently than most other gadget glass. When you chemically temper a glass, you immerse it in a salt bath and you stuff larger ions in all the surfaces and put them all under compression. What's unique about Gorilla Glass is that because of its inherent composition, it can allow those larger ions to penetrate the surface more deeply to increase the compression tolerance and tolerate deeper scratches. The compression pushes a flaw back. It's harder to break from a deeper scratch. It's also a bit more expensive than the glass normally used for gadget screens, though given its rapid adoption—it's used in some 300+ devices at this point—its value as a selling point and feature clearly outweighs its monetary cost. 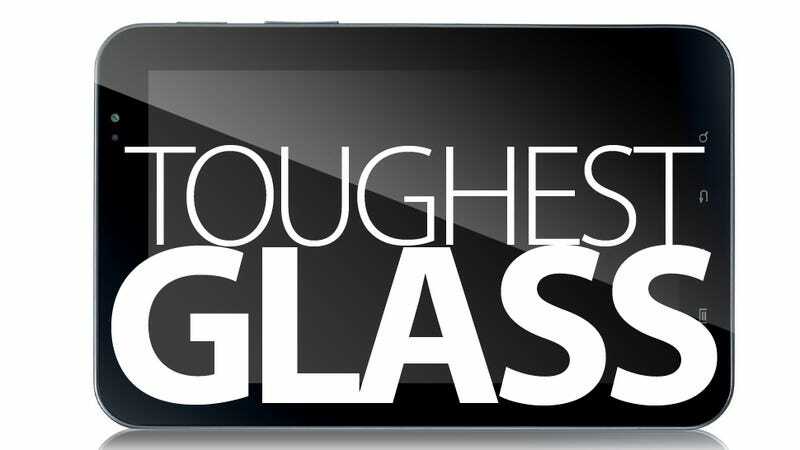 For more on Gorilla Glass, read our previous coverage.